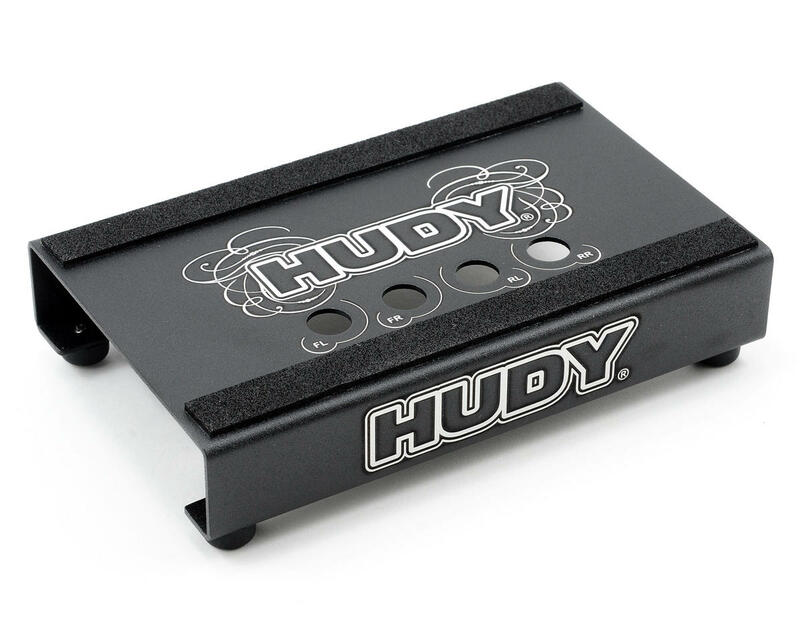 HUDY stylish touring car stand for 1/10 electric and nitro touring cars. Very nice and clean smooth design. The surface is black powder coated for maximum long life and to withstand abusive working conditions. This stand has a very small footprint and is very low profile, making it very handy to pack for travel.